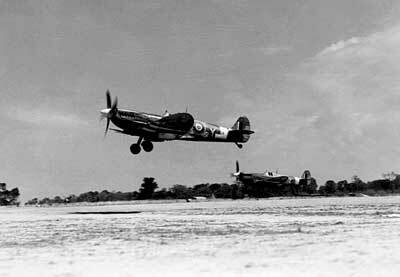 The Royal Canadian Air Force played a key role in Allied victory. Between 1939 and 1945, the Royal Canadian Air Force enlisted 232,000 men and 17,000 women and operated 86 squadrons, including 47 overseas. Canadians flew bomber, fighter, reconnaissance, transport, and other missions around the world. Tens of thousands of Canadian air crew also served with Britain’s Royal Air Force and Canadian fighter aircraft participated in the epic Battle of Britain in 1940. For the rest of the war, Canadian fighter-bombers attacked coastal areas in German-occupied Europe while Canadian heavy bombers struck at targets much further inland. In addition, Canadian maritime patrol bombers based in Canada, Newfoundland, Iceland and Britain fought German submarines. By 1945, the R.C.A.F. had grown to be the world’s fourth- largest air force. More than 17,000 Canadian airmen perished during the war.